Please be careful about your healt, always! Most of all, i hope u are always happy and always have those who u love and cherish around u!!! Many Many Many happy returns of the day!!! ^me too! i loved him in WISFC. i was rather upset when they grew up so quickly but then there was giant so it wasn't so bad. i'm glad he's getting more recognition now. his voice sounds so nice when he sings. Wow, today is his birthday. what a coincidence! Kim Soo Hyun performs "Dreaming"
On the February 15th episode of “Dream High,” ‘Sam Dong’ made everyone’s hearts flutter when he performed his emotive song, “Dreaming” . After his hearing became damaged, Sam Dong faced the possibility of losing his dreams. He eventually decided that a perfect pitch would be his only hope, and so he goes to ‘Pil Sook’ for help. Pil Sook advised, “Memorize one pitch and make your vocal cords remember it,” and “Since you have excellent relative pitch, all you need to do is focus on the rest and it will all work out“. In order to fully test his pitch, Sam Dong teams up with Pil Sook to perform Jinwoon & Changmin’s duet, “Can’t I Love You?“. His excellent performance earns him an A+ grade, and he later goes on to perform “Dreaming” at his showcase. The episode achieved 20.1% in viewer ratings, according to AGB Nielsen Media Research. He explained, “Because we are in a love triangle with Hyemi (miss A’s Suzy) in the drama, I think our feelings are becoming sensitive” – revealing that he was able to befriend Taecyeon through working together. 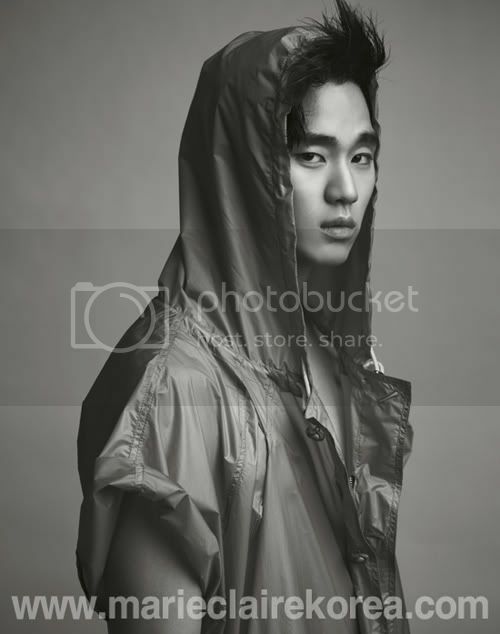 While Kim Soo Hyun’s character, ‘Song Sam Dong’, is attracting a strong female fanbase because of his dedication to love, Kim Soo Hyun himself is becoming wildly popular as he continues to show off his wit through interviews. Spris releases a CF feat. T-ara’s Eunjung and Kim Soo Hyun! “Dream High“ co-stars Eunjung and Kim Soo Hyun were recently featured in a new Spris CF! In the short film, both Eunjung and Kim Soo Hyun play dancers While Kim Soo Hyun’s character falls for Eunjung’s at first sight, her character doesn’t seem interested at all. However, his persistence and humor gradually breaks through her cool front. Later, she spots a poster announcing a “Dream Project” contest (a play off of ‘Dream High’, perhaps? ), and go back to the studio to rehearse. Eunjung’s character is especially dedicated to practice, but she overdoes it during a routine and injures her ankle. While she’s sitting out with Kim Soo Hyun’s character, she frets that her injury will prevent her from dancing. She then takes the opportunity to ask him if dancing is his dream. 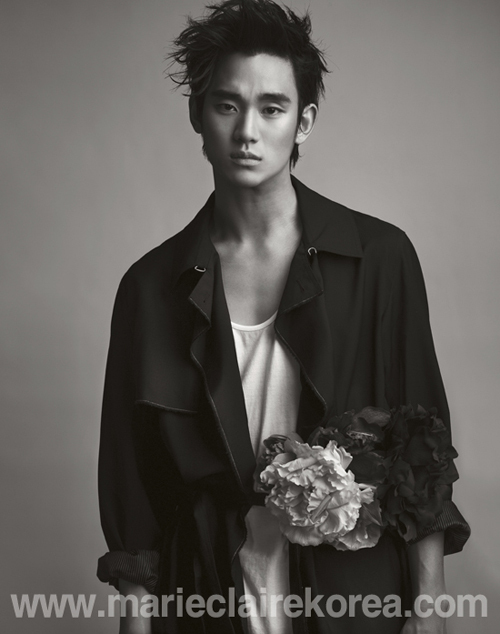 On February 14th, actor Kim Soo Hyun revealed his emotive ballad, “Dreaming“, for the “Dream High” OST. The pop ballad is the collaborative work of creative producer J.Y. Park and music director Kang Dong Yoon, who worked to bring out ‘Sam Dong’s innocent charms and passion for music through the powerful orchestra and stirring lyrics. Apparently KSH is coming out in the March issue of Marie Clarie Korea Magazine. On February 16th, 2PM’s Taecyeon tweeted, “Song Sam Dong!! Happy Birthday!!! hahaha the white faced person is Soo Hyun hahaha,” along with the following group photo of the cast and staffs. The birthday boy Soo Hyun’s cream-covered face showed the virtue of his friends’ “powerful love”. Wooyoung posed with a cream covered “V” while “trend” IU and Taecyeon smiled brightly in midst of the group. Dream High’s trio Suzy-Eunjung-Joodo stood behind the birthday boy in the photo. Netizens wrote, “the popular drama showed unmatched team support. Not a single member is missing,” and “Wooyoung must be responsible for the terror on Kim Soo Hyun’s face. 2PM is the music industry’s joker,” sharing their amusement. Korea’s top teen drama, KBS 2TV’s “Dream High“, is opening an event for fans to watch the very last episode together with Suzy and Kim Soo Hyun. As a ‘thank-you’ present, fans will get a chance to watch the last episod (airing on February 28th) with ‘Hyemi‘ and ‘Sam Dong‘ at Ilsan’s CGV. This will be the first and only chance for fans to watch ‘Dream High’ on the big screen next to their beloved actors. In addition, Suzy and Kim Soo Hyun wanted a chance to return a little bit of the love they’ve received by presenting fans with a raffle, through which they will be giving away their personal/favorite collectibles and autographs. More details and instructions on requesting an invitation to the event can be found on Kim Soo Hyun’s official homepage and miss A’s fan cafe. Earlier today, 2PM’s Taecyeon posted a photo from Kim Soo Hyun’s birthday celebration on the set of ‘Dream High‘. Fellow castmate T-ara’s Eunjung revealed more photos from the party. These photos differ from Taecyeon’s in that they are close ups of the large group shot and also include a couple shots of just the Kirin Arts High School students. They battled the blistering cold with the castmates and staff members to ensure that their favorite star would be able to enjoy a memorable birthday. Although his castmates had different schedules to attend to, all of them took time out of their day to attend the birthday party. He is so darn handsome. When Hye Mi first encountered him in the country I immediately thought of Kang Dong Won. Goodness this guy is gonna make it big. The two have gained much interest for having appearances worthy of being called a beautiful-looking couple. Even with the closeness of the shot and the clearness of the photo, they look exceptional. omg Thank you so much but is it has Eng sub? wanna watch with eng sub.